With alleged press shots, headlining 20MP camera and purported specifications now out in the wild, the Sony Xperia Honami has been leaked yet again in a bunch of a live photos. Those look to be the real deal, aligning nicely with previous live shots. Anyway, the Xperia Honami has kept a lot of the charm of the Xperia Z it is said to succeed at the company's smartphone flagship throne. With a glass covered back and sharp edges all around, it's definitely a looker. 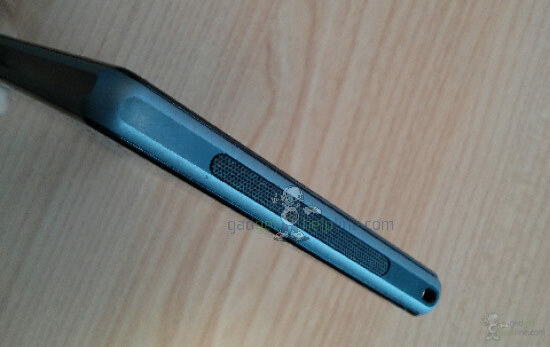 The photos confirm the large loudspeaker grill, that is a slight departure from the current OmniBalance design. Furthermore, the dedicated camera key on the right hand side underlines the cameraphone status of the smartphone. It's said to be a 20 megapixel Exmor RS unit, which will feature the Sony G-lens and BIONZ image processor, but its sensor will measure 1/2.3" rather than the previously rumored 1/1.6". According to the person, who took the photos, the camera software isn't close to its final version. Since the resolution settings in the camera app were missing, too, he couldn't confirm if the phone packs a 20MP camera. The specs sheet goes on with a flagship-worthy 5" 1080p display, 2.2GHz quad-core Krait 400 CPU and 2GB of RAM on a Snapdragon 800 chipset. 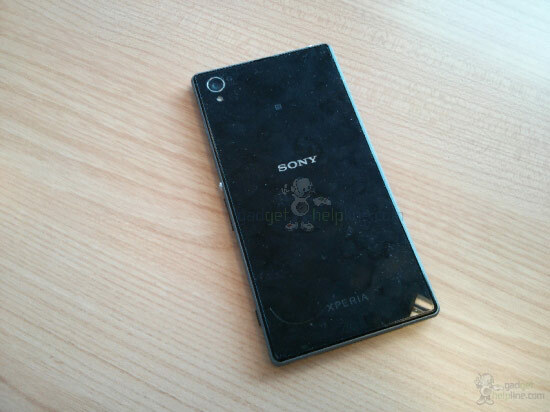 The battery, while still non-removable, will be bumped to 3,000mAh, from the 2,330mAh on the Xperia Z. 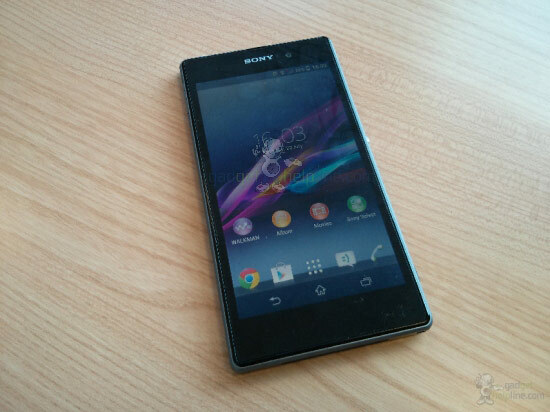 Just like the Xperia Z, the Sony Xperia Honami is said to be IP57 certified, which it is completely dust-protected and will withstand a meter of water for 30 minutes. Sony is expected to announce the Xperia Honami at a dedicated press event on September 4 in Berlin. Samsung is a plastic just admit it samboys! 1/2.3'' sensor size, no Xenon flash, non removable battery, on screen keys, boring UI will be the reason this won't be mine. Hope Sony does something about them.